Keto cream cheese cookies for when it needs to be grain-free, nut-free, egg-free, sugar-free and keto friendly. These keto cream cheese cookies are not only delicious, but they also happen to be egg-free and nut-free. By purposely leaving those two ingredients out, I have given more people the ability to enjoy these cream cheese keto cookies. 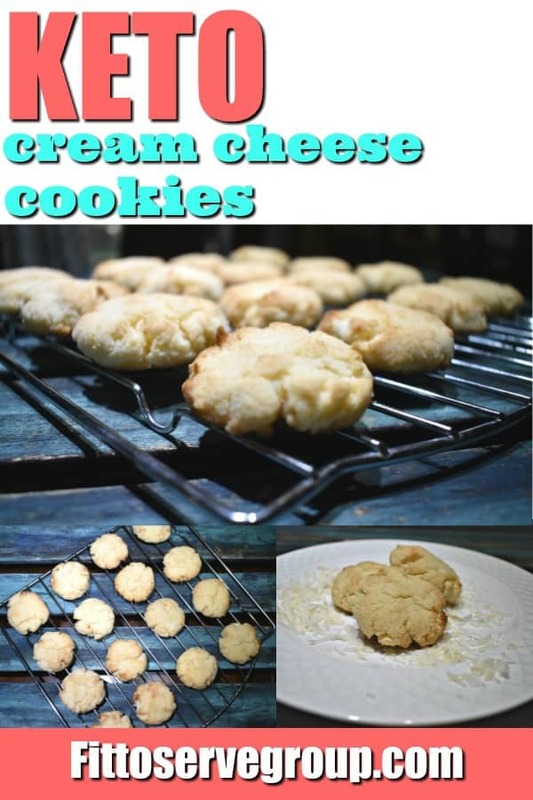 My recipe for cream cheese cookies keto takes just a few basic keto-friendly ingredients to make a delicious keto cookie. And since one of those ingredients is coconut flour, those in the keto community who have nut-allergies can enjoy this cookie. The recipe does not call for any egg and it gets all the moisture it needs from the generous amount of cream cheese. It’s my desire to be able to offer more allergy friendly low carb keto recipes since I know many who come to this lifestyle also are dealing with food intolerance. In case you don’t know I have a complete list of Keto Cookies that any cookie lover doing keto would enjoy exploring. Make sure you remember to also checkout our Keto Cream Cheese Recipes for other delicious recipes that feature cream cheese. I am happy to report that my keto cream cheese cookies turned out exactly how I had hoped. Not only are they delicious but as an added bonus they are very low in carbs. This is due to the fact, that I used coconut flour, a great low carb keto friendly flour substitute. Avoiding foods for allergy or dietary reasons can sometimes be overwhelming and frustrating. 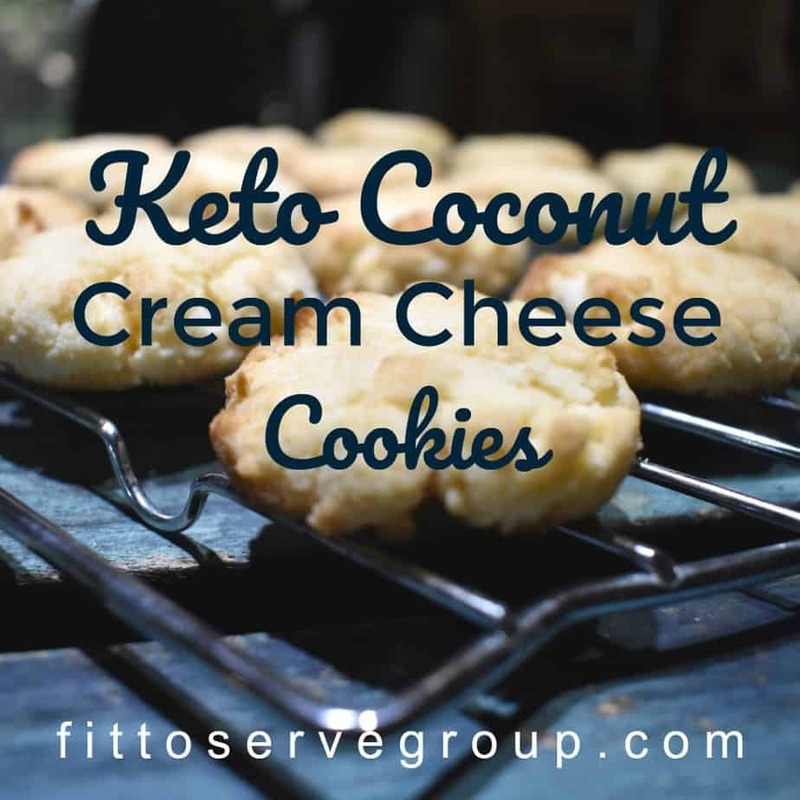 Which is why these cream cheese keto cookies made with coconut flour and without eggs can serve as an option for those doing a ketogenic diet. When I first embarked on this keto lifestyle, I had a difficult time finding exactly what foods I could have safely. That frustration is one of the reasons why I was compelled to write this blog. Although at the time it seemed like a tall order to fill, I wanted to give you a recipe that didn’t use eggs, grains, sugar, and nuts. I’m thrilled to report that these cream cheese keto cookies not only accomplished my goal but they are so delicious, that even those who don’t have to avoid allergens will enjoy. If there is something I want to make sure is that the recipes I share besides being low in carbs and keto-friendly, that they are also easy to make. After all is it too much to ask for? I mean because no one wants to waste valuable time or product experimenting? Right? If you can’t recreate my recipes in your kitchen as easily, then I feel like I’ve failed you. That my dear is not cool with this girl. I only want to hear how the recipes I share with you have enhanced your diet and made this keto lifestyle a reality. Failure is not an option! Still wondering how to bake with low carb flours? 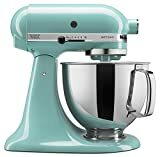 I encourage you to read my favorite low carb keto baking tips. These tips will get you baking successfully with these tricky flours in no time. Learn the basics of keto baking and stop tossing failed keto attempts. 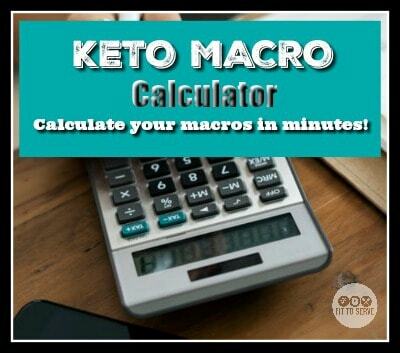 I want you to feel confident about your low carb keto baking skills. 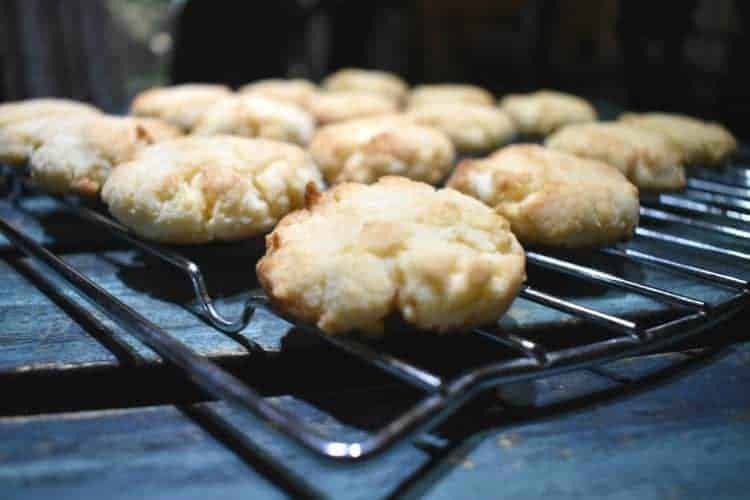 You can certainly customize these keto coconut cream cheese cookies easily by adding 1/2 cup of sugar-free chocolate chips or swapping the vanilla extract for lemon or orange extract.Really, the sky’s the limit with this easy recipe. I sure hope you will give this cream cheese keto cookie recipe a try. Once you do, make sure you remember to tag us on Instagram and Facebook. It’s what keeps this girl encouraged to keep sharing and perfecting her recipes. If you have several allergies or dietary restrictions consider giving these keto cream cheese cookies a try. I am confident that they won’t disappoint. Note: Botanically speaking coconut is a fruit. But in some cases, it is also a tree nut. If an individual is allergic t”tree nuts” there is a possibility they may also be allergic to coconut. So make sure you’re clear to enjoy these. The holidays can be loaded with all sorts of food temptation. Which is why using a tool to help you stay on course can be very beneficial. 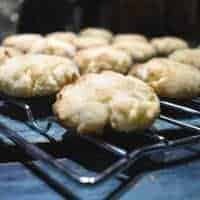 A recipe for keto cream cheese cookies. It's gluten free, sugar free, grain free, nut free, and egg free. Making it a perfect low carb keto friendly treat for individuals who have several allergies. Add the vanilla and continue to mix, scraping down the sides of the bowl with a spatula. Next add the the coconut flour, baking powder, salt mix till well combined. Place the cookie dough balls on a parchment-lined baking sheet about an inch apart, and gently press down on each cookie with your fingers to flatten slightly. Bake for 15-18 minutes, until lightly brown around the edges. Transfer to a wire rack and let cool. Use CODE: FITTOSERVE when placing any orders for Lakanto sugar substitute and receive a discount. Keto Hot Dog Onion Sauce, New York Style! Made these a couple day ago. Can't believe how delicious they are. Had 3 of them in one day, way more than I should of but enjoyed every morsel. Already recommended this recipe to others. Can't thank you enough. Hi Arena, So happy to hear that you enjoyed this recipe. Hi Les, Glad you enjoyed the cookies.